Are you passionate about something? Need a new way to raise funds besides asking for donations? The Golden Easel is passionate about making a difference and would love to team up with those passionate about a great cause. Paint Fundraisers are a new and creative way to raise money by allowing every supporter to take home a special reminder of their contribution to a cause. 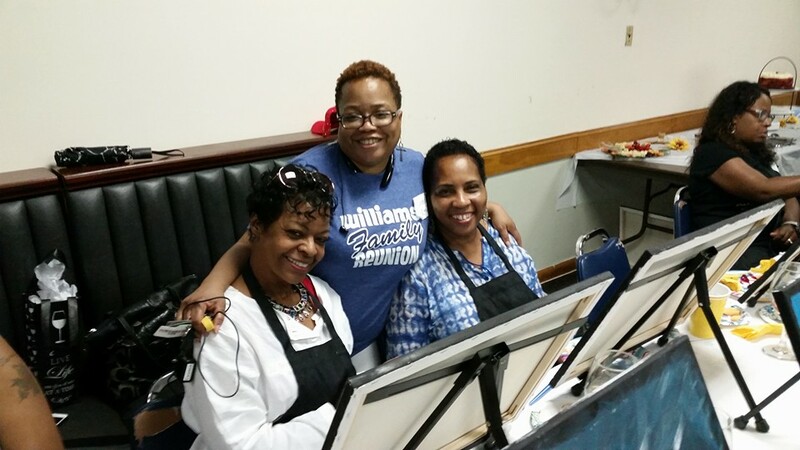 We love painting with a purpose and have helped other organizations reach their goals through our creative events. All painting supplies and instruction are provided. We will offer you two canvas sizes that you can choose from to maximize on raising funds for your event. What’s included? Canvases (or other material that you paint on), acrylic paint, brushes, easels, and aprons. We will tarp the floor, if required, for an additional charge. Visit our gallery to see all of our available paintings. Then, under "book it" send us an email with the requested date, time, painting and your contact information. Include the name of your cause and hit submit. Once we've confirmed that the date and time are available and the deposit is received we will reserve your date. Check out our FAQ page. If you don't see your question answered, please feel free to submit a contact form. We will be more than happy to answer any and all questions!